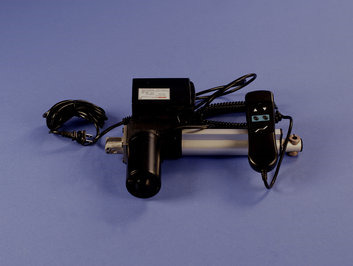 120v Linear Actuator with Custom Stroke Length - Venture Mfg. 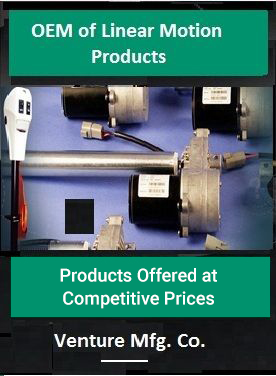 Co.
Venture has been serving the demands of varied industrial sectors by supplying motion control products of exceptional quality since its inception. We have acquired a huge client base both in the domestic as well as international markets due to the delivery of quality products with impeccable operational excellence at the scheduled time. When it comes to procuring linear actuators for heavy duty applications, Venture is the right source that can provide you appropriate solutions at the best deals. 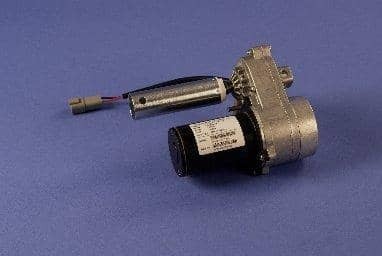 With us, you will find 120V linear actuators that are intelligently designed and precision manufactured in compliance to international quality standards for heavy duty applications. Specifically fabricated for the most demanding applications, this actuator type guarantees trouble free operations even in the toughest conditions. 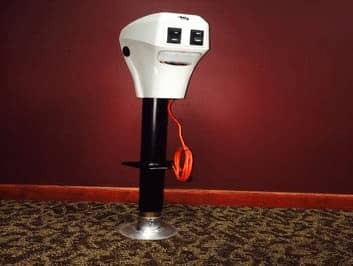 Since they are manufactured using powerful and corrosion resistant materials, you don’t need to worry about their durability and reliability, instead undoubtedly can purchase the item. 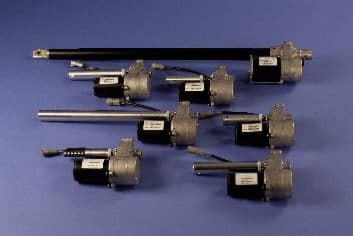 There are several industries that make use of the operational performance of Venture’s 120V linear actuators. Below listed are some of the many. Customization is one of our core competencies and strengths. Do you need a special stroke, speed, mounting brackets, hole, dimension, IP rating and more? Consider it is done at Venture. We are glad to help you with designing a specialized actuator unit with desired specifications, features and options to best suit your application requirements. By working in close associations with customers, experts at Venture understand their specific requirements and expectations. Thus, after gaining a comprehensive idea of customer’s needs, the team Venture will start working on the custom order. By utilizing advanced machinery and top-notch fabrication technique, we make sure that the customized unit is made to the highest standards keeping in mind the unique requirements of customers.